Stasia by Sew Liberated is a knit dress that feels like wearing secret pajamas. Optional pockets. Multiple sleeve and length options. A close-fitting tee perfect for layering. A pattern-hacker's canvas. Tons of tips for sewing with knits. And a lot of love - wrapped up into one amazing pattern! 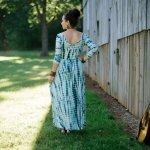 Get your sewing machine humming, and let your inner beauty shine through to the outside with the Stasia Dress. The Stasia's secret is a v-front bodice, which highlights the smallest part of the waist and provides plenty of room below for beautiful bellies. 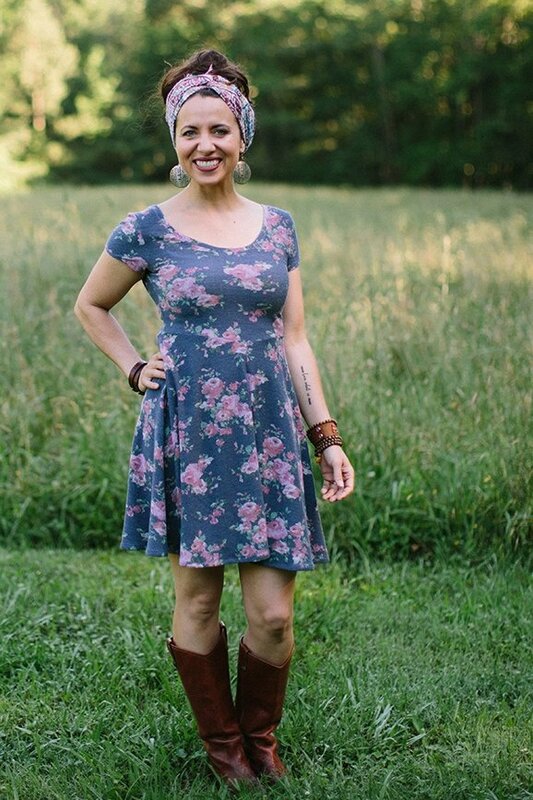 Wearing your Stasia Dress, your belly and hips will be free to hike, dance, and do all sorts of wonderful activities while still feeling like a million bucks.